taught as a Practical Trainee [970-72] at Don Bosco High School in Lonavla. He is grateful to be counted among the first to lead as an SDB and a Priest. "Life of Prayer Then and Now: Lessons I learned in the 1960s"
Lonavla Pre-Univerity students in Mawlai, Assam. 1967. In April 1960, when I decided to join a residential seminary, I accompanied my mother to meet the Rector Fr. José Carreño at Liceu Dom Bosco in Pangim, Goa, Estado da India Portuguêsa. This Salesian Priest of Spanish origin told me in Portuguese, "Here with Don Bosco, we eat well, play well, study well, pray well and sleep well." Then he led us to Fr. Cajetan Lobo, the Administrator of Goan origin, who very humorously declared in Portuguese "I am a wolf [Lobo] and you a rabbit [Coelho]. I'll eat you up." All of us laughed. Thus began my journey to life with the Salesians of Don Bosco. I was nine years old. After the Portuguese de facto withdrew from Goa on December 19, 1961 I opted to study at Don Bosco Apostolic High School in Lonavla. In June 1962 I was among the first four students from Goa, the youngest and the only one who changed the medium of education and prayer from Portuguese to English. Br. Coelho with 9th grade students in Lonavla. 1971. Fr. Coelho participating in the Provincial Chapter in Lonavla. 1985. Remember, O most illustrious Patriarch St. Joseph, never has it been heard that anyone who invoked thy protection or sought thy mediation has not obtained relief. In this confidence I come before thee, my loving protector, chaste spouse of Mary, foster-father of the Savior of men and dispenser of the treasures of His Sacred Heart. Despise not my earnest prayer, but graciously hear and obtain my petition. Amen. St. Joseph, Patron of a Happy Death, pray for us. Fr. Coelho studied Salesian Prayer while at UPS in Rome. 1987-89. "I prefer to die rather than offend God." "Guide me, as You will. Use me, when You will." Cross on the Host, make me sacrificing." Fr. 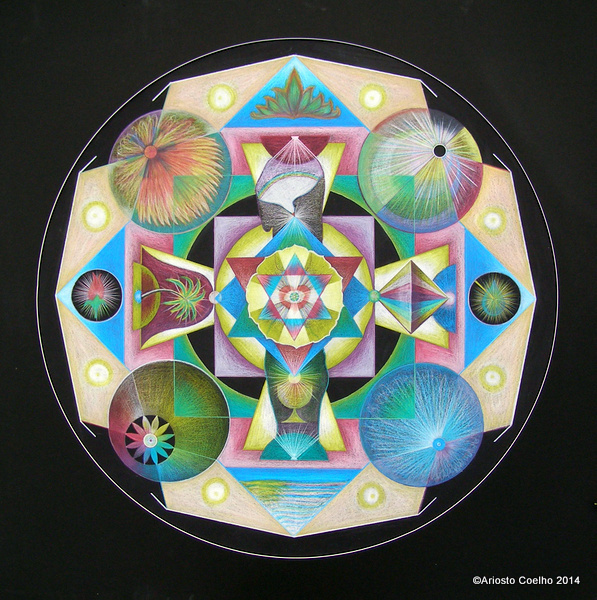 Coelho researched Prayer, Art and Psychotherapy in California. 1989-97.
with youthful joy as communicated by St. John Bosco to St. Dominic Savio. I surrender myself and everyone to God's Holy Breath - The Infinite Power of Love." 1962 - Nazir Bungalow: A haven with "the saint of gladness"
On February 8, 2011, my wife and I were invited to visit the Don Bosco Complex in Lonavla. We enjoyed the company of Fr. Cletus D'Souza, the Rector, Fr. Salvador De Souza, Bro. Savio D'Mello, Fr. Lorenzo D'souza, other Salesians and students, and were treated to a sumptuous lunch by Fr. Thomas Chalissery. In the Superiors’ Refectory a white card on the notice board caught my attention. It stated: "Fr. John Med died on January 25, 2011." I closed my eyes, whispered a prayer for his soul and recalled my first encounter with Fr. Med at Dom [Portuguese for Don] Bosco, Pangim, in Goa, in June 1962. He was the Provincial Superior of the Salesian Province of South India with headquarters in Madras, and I was eleven years old. As a result of the Portuguese de facto withdrawal from Goa, Estado da India Portuguêsa, on December 19, 1961, I had to make a decision which would affect the rest of my life. Shall I continue as a seminarian to the priesthood by studying Liceu Português and going to Portugal, or shall I change the medium of my education to English and study in Lonavla? While both my Dad and I were excited by the possibility that I would live in Europe, my mother could not bear the thought of having me so far away in Portugal. Fr. John Med along with Fr. Manuel Pinho, Rector of Dom Bosco in Pangim which was part of the Portuguese Province of the Salesians from 1960 to 1962, decided that Pedro Pereira, Mathias Vaz, Felizberto Gracias -three ninth grade students- and I -an eighth grade student promoted after studying for the Segundo Ano do Liceu- would go to study at Don Bosco Apostolic High School in Lonavla. Fr. Edward Corcoran was to accompany us from Pangim in Goa to Lonavla in Maharashtra on June 14, 1962. The 24 hour journey by meter gauge train in an unreserved and overcrowded compartment from coastal Vasco da Gama Railway Station to Londa on the Deccan Plateau and, thence, to Poona was anything but comfortable. On seeing our dismal plight at Poona Railway Junction Fr. Corcoran decided that we should all go by the Deccan Queen to visit the city of Bombay located about 200 kilometers away on the Arabian Sea before settling in Lonavla on the Western Ghats, located 60 kilometers from Poona. Fr. Hubert D'Rosario, the Rector, the other Salesians at Don Bosco High School and Boarding, and Fr. Aurelio Maschio at the Shrine to Don Bosco's Madonna, all in Matunga, Bombay, made sure that Felizberto, Pedro, Mathias and I had a great time. I recall sleeping all night under an electric fan for the first time in my eleven years of life. After a brief stay in Matunga, Fr. Mondini, the administrator, along with Fr. Corcoran and my elder brother Valentim, who lived in Bombay at that time, accompanied us to Lonavla by bus on Sunday June 17. As I recall the navy blue Tata school bus drive away from Don Bosco High School in Matunga at 9:30 in the morning I remember the broad and crowded city boulevards and the lonely mountainous climb from Karjat through Khapoli and Khandala. I remember Felizberto distribute delicious batata vadas or warm spicy potato dumplings fried in peanut oil. I also remember how Pedro said that he could smell nautang, a local alcoholic beverage, after the driver and the conductor of the bus took a few quick shots as we entered one of the many tunnels. Mathias was delighted as he watched the clouds dance through the Duke's Nose, a mountain peak on the Western Ghats. It was a tedious but refreshing journey. It rained that Sunday afternoon when we finally reached the Nazir Bungalow in Lonavla. We were warmly welcomed by Fr. Joseph Murphy, the Rector, Fr. Eliseo Bianchi, the Administrator, Fr. Joseph Dhyrianathan, the Principal, Br. M. O. Matthew, Br. John Samala, the ubiquitous driver Anthony D'Souza, the rotund chef John Branganza and the following young seminarians from Bombay: Philip Adrianwala, Claudius Alvares, Nelson Carvalho, Wilkie Correa, Mariano D'Costa, Carl D'Sa, Desmond Fernandes, Suresh Lobo, Stephen Rodrigues and Neville Sequeira. A few days later we were joined by the seminarians from Kerala: Devassy Chirakel, Thomas Chacko, Justin Thomas, Vincent Kaiparaban, Kurian Katticaren, George K. J., Thomas K. J., Thomas K. M., Cyriac Mathew, Johnny Pachikara, Joseph Pandicherry, Emmanuel Plumoothil, Emmanuel Poovelikal, Davies V. L., and Louis Zacharias. Still a few weeks later, Fr. Jos Menezes joined the team of superiors and Eusebio Mascarenhas became the thirtieth seminarian at Lonavla. I was privileged to be the number one on the Dhobi or Laundry List, in the Register and the Account Book. Felizberto, Mathias, Pedro and I were delighted that Fr. Manuel Pinho and Fr. Edoardo Duarte, who were on their way back to Portugal, visited us at the Nazir Bungalow in Lonavla when it rained cats and dogs. In their company we recalled the times we spent at Dom Bosco in Pangim, Goa. We remembered our companions, teachers and the international team of superiors: Fr. Corcoran [England], Fr. Lobo [Goa], Fr. Moja [Italy], Fr. Mariotta [Switzerland], Fr. Casti [Italy], Fr. Saldanha [Goa], Br. Cusini [Italy], Br. Locatelli [Italy], Br. Caserta [Italy], Br. Albano [Goa], Br. Basilio [Portugal], Br. Jose Maria [Goa], Br. Tavares [Goa], Br. Po [Goa] and Br. Chouri [India]. I also remembered what Fr. José Carreño [Spain] told me in Portuguese in April 1960, when I first considered joining Dom Bosco Liceu as a Latinista in Pangim, "Here with Don Bosco, we eat well, play well, study well, pray well and sleep well." at the entrance to the Nazir Bungalow in Lonavla, 1962. It was the middle of April 1963 and we were on our way back to Goa. After spending ten uninterrupted months eating, playing, studying, praying and sleeping well with the Salesians of Don Bosco at the Nazir Bungalow, the journey back home was as eventful as the journey to Lonavla. Once again the Salesian superiors in-charge of us had forgotten to make the reservations by train. Mr. Anthony D'Souza was in-charge of driving Felizberto, Pedro, Mathias and me to the Poona Railway Junction and accommodating us in the over-night train bound for Margao via Londa. When the meter-gauze train bound for Goa whistled loudly as it left the yard for the station, it was four in the evening. Hundreds of passengers without reservation rushed with their belongings to enter the unreserved compartment, all at the same time trying the enter the crowded belly of the serpent-like monster. As Felizberto, Pedro and Mathias squeezed themselves into whatever space was available in the compartment meant to accommodate 75 passengers now filled with over 150 men, women and children, I began to grow anxious. I was beginning to wonder if I would be left behind, when Mr. D'Souza grabbed me, lifted me up, pushed me through a narrow window on one side of the railway compartment and made me sit in a tiny space left vacant on the luggage rack. I remained seated there throughout the night holding on to a package of food carefully packed for the four of us. It contained bread, bananas, a dozen full boiled eggs and Lonavla chikki, a delicious and jaw-breaking brittle candy made with nuts and sugar. The following evening I was at home in Aquem, two kilometers away from the railway station in Margao. I was profusely hugged by my parents, five sisters and younger brother. I recall my helplessness as I tried to express myself. I was at a loss for words in Konkani and Portuguese, the languages we spoke at home. During the ten months I spent in Lonavla I learned to read, write and speak with some fluency in English, and with much lesser competency in Marathi and Hindi. I recall that the only language that accompanied me from Liceu Português to the English medium High School was Latin. Though this language was useful to serve at the pre-Vatican II liturgy at St. Joseph's Convent Chapel in Aquem, it was useless for communicating at home. As the days turned into weeks, I regained my competency in Portuguese. Now, I was able to describe some of the challenges I faced at the Nazir Bungalow in Lonavla. My sister Avita had a great laugh when I mentioned to her that I could not pronounce the word "who" and that every time I said the Lord's Prayer, my companions laughed because I said "Our Father, foo art in Heaven." My sister Angela was amazed that I could read and write in the Devanagiri script, but she did not know that I had to plead with and convince Mr. Sonavne, the Hindi and Marathi teacher who, goaded on by Philip Adrianwala and Neville Sequeira, would not believe me when I told him that I had never been exposed to this alphabet during my earlier grades at the Liceu in Pangim. Both afraid and ashamed I had to fall on my knees and with folded hands ask Mr. Sonavne to listen to me, while my four eight-grade companions from Bombay laughed heartily. What interested my nine year old brother Rosarito were the games we played in Lonavla. He wondered why Devassy Chirakel was called "The Electric Server." I mentioned to him that his service was so fast while playing Table Tennis, that he acquired the title "Lightening Speed." I could not fully explain to my brother the game called Arabian Flag that we played often at the Nazir Bungalow, especially when we did not have access to the bigger playground to play football with Fr. Joseph Murphy as the coach. Still, I would describe to him the clever tricks used by Suresh Lobo, a fast runner, to steal the flag guarded by Kurian Katticaren and Joseph Pandicherry. My brother found it fascinating that the two Indian Salesian priests with us in Lonavla, Fr. Joe Dhyrianathan and Fr. 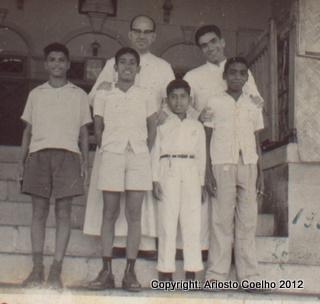 Jos Menezes, tucked their white cassocks by pulling them through the pockets as they showed us how to play cricket, a game unknown in Portuguese Goa. My Dad was happy to hear that on Thursdays we did not have classes but spent the morning time studying. I also told him that on Thursday afternoons when it did not rain, we walked to and did manual work for three hours at the Don Bosco hilly forest property located on the Tungarli Lake Road where the Salesians were building the High School and the Residential Complex. Both Br. M. O. Matthew and Br. John Samala, who was in-charge of the seminarians in the Second of two groups to which I belonged, made sure that we cleared the forest paths as well as leveled the playing fields of the future. Oftentimes, we had fun catching the many tiny crabs that had burrowed holes in the open spaces during the extensive rainy season. On our return to the Nazir Bungalow after negotiating the canal carrying water from the Valvan Dam to the Khapoli hydro-electric power plant at the foothills of the Sahyadri mountain range, we were treated to tea with fragrant bondas, sweet dumplings made of wheat flower deep-fried in oil. My Mom along with my sisters Terezinha, Maria Josefa and Sylvia, who liked traveling, enjoyed the stories as I described the picnics and walks to places of interest in and around Lonavla. The name Lonavla, I informed them, is derived from the Sanskrit lonavli, which refers to the many Buddhist caves like Karla, Bhaja and Bedsa that are close to Lonavla. Under the guidance of Fr. Bianchi we walked to these caves as well as to the various lakes and dams in the vicinity of Nazir Bungalow. Our first monthly walking picnic was to Tungarli Lake and Dam, a few kilometers away. We climbed the mountain top and crossed the dam built during the British era. During the other picnics we walked across the Monsoon Lake, the Bushi Dam and the Valvan Dam which was open to the general public prior to the start of the month long Sino-Indian war in October 1962. Other points of interest that were challenging to reach included the Duke's Nose, a cliff named after the Duke of Wellington whose ample nose it resembles; the Tiger's Leap, a cliff-top with a sheer drop of over 650 meters, giving an extensive view of the valley; and the Lohagad fort built by Chatrapati Shivaji at an elevation of 3,450 feet and recaptured by him in 1670 and used for keeping his treasury. 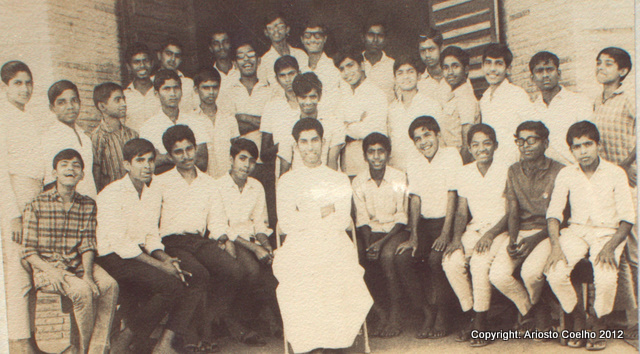 In June 1963 I was promoted to the ninth grade along with my other thirteen classmates from Bombay and Kerala. A few new students including Mario Vaz from Bombay, Orlando Noronha and Bosco Araujo from Goa and William Falcao from Bassein joined us in the ninth grade. A whole new batch of students was admitted into the eighth grade, among them Viren Coutts and Zelio de Souza from Bombay; Joe Braganza and Thomas Dias from Goa; Anaclete de Mello, Nelson Falcao, Charles Falcao and Adolph Furtado from Bassein. Most of the aspirants or seminarians to the priesthood from Bassein had their earlier education in the Marathi medium and played cricket well. During the second year that we spent at the Nazir Bungalow the number of residential seminarians had grown from 30 to 60. Every available nook and corner of the small bungalow was transformed into a dormitory, classroom, dining room or office space. The place was crowded. Luckily, our stay at the Nazir Bungalow lasted till the middle of March 1964 when we moved to the new building on the Tungarli Road. The process of moving was well orchestrated by the six Salesians on the staff. We spent March 16, 17 and 18 moving the furniture as well as our luggage. Dutifully we transported whatever article was handed to us. I remember how on March 18, Viren Coutts and Emmanuel Plumoothil were especially chosen by Fr. Joe Dhyrianathan to transport the piece of thick glass 60" x 30" that lay on top of his wooden desk. These two young teenagers handled this responsibility with utmost care carrying this burden through the back door of the Nazir Bungalow, climbing both over and under the water canal, walking over a kilometer through private properties and on public roads and, finally, entering the new building with this sheet of glass. Tired after this long walk, they decided to place this transparent load on the tiled steps on the ground floor before venturing onto the first floor, where the Principal's new office was located. This piece of rectangular glass crashed as they laid it on the floor breaking into two big and dangerous pieces with sharp edges, much to their dismay and the consternation of the superiors. We spent the night of March 18 in the spacious dormitory in the new building. On March 19, 1964, after the morning Eucharist in Latin celebrated in honor of St. Joseph, the husband of Mary and Patron of the Universal Church, we were officially welcomed to the new building by the austere Rector Fr. Joseph Murphy who along with Fr. Joe Dhyrianathan and Fr. Jos Menezes celebrated their name feast. I remember how Fr. Murphy assembled the 60 seminarians and the five Salesians, distributed a slab of Cadbury milk chocolate to each one and requested that we respect the building rules by keeping it clean and by not running inside the broad corridors of the new L shaped building with two floors covered with smooth, bluish grey and shining Cuddapah stone tiles. A few months later after we returned from the Summer vacation the number of the seminarians swelled to 90. I was now in the tenth grade and there were significant changes among our Salesian staff. Our pioneer Rector was gone and we were introduced to the new Rector, Fr. Mauro Casarotti. He was a visionary Salesian who was instrumental in acquiring the property in Lonavla for the purpose of establishing an apostolic school. His stay with us was brief as he was appointed Provincial Superior and moved to the Salesian Province of Calcutta. The experienced Fr. Antonio Alessi, who had been until recently the Provincial Superior of the Salesian Province of Gauhati, became our new Rector. Fr. Joe Dhyrianathan and Fr. Jos Menezes were replaced by Fr. P. I. Jacob and Fr. K. P. Jacob. Fr. Cajetan Lobo from Colvale in Goa and Br. Joe Rodrigues from Bandra in Bombay were two great additions to the Salesian staff which had grown to eight. Among the fondest memories of 1964, I recall the visit to Bombay for the International Eucharistic Congress in December when we were able to see Pope Paul VI. After this memorable visit to Bombay, Fr. Abraham Poonolly from the Madras Province visited us in Lonavla. As was customary in Salesian houses, since the time when Don Bosco's mother addressed and wished good night to the first residents in a Don Bosco Shelter, Fr. Poonolly gave us a hilarious and memorable good night talk which I would like to entitle "Lucky Chance." He shared how by "lucky chance" he had the opportunity to visit Bombay and concelebrate with the Pope. He also stated that it was truly by "lucky chance" that he found in my companion Devassy Chirakel his country cousin from the birth place of Sri Shankaracharya in Kaladi, Kerala. Truly, we were all lucky to be finally settled in a beautiful building with a great set of colleagues and superiors in Lonavla. Row 1: Left to Right: Mathias Vaz, Vivian D'Souza Vincent Braganza, Stanislaus D'Souza, Orville Coutinho, Emmanuel Poovelikal, M.U. John, Carl D'Sa, Jerry D'Souza, Melvin D'Souza, Desmond Days, Nelson Carvalho, Irvin Coelho, Orlando Noronha, Zenon D'Souza, Stephen Rodrigues, Cyriac Mathew. 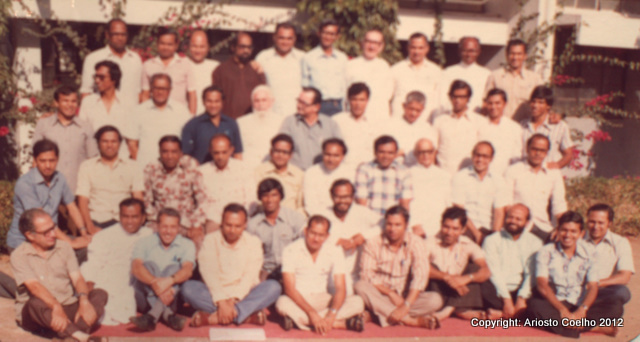 Row 6: Edward D'Souza, Zelio de Souza, Johnny Fernandes, Charlie Falcao, Joseph Pandicherry, Ignatius Falcao, Peter D'Silva, Richard Dennis, Lavy D'Costa, Julian -, ---, William -. The author is grateful to Zelio de Souza for his assistance in identifying many of the residents in this picture and in editing the articles below. If you have more accurate info, including of those not identified [George K. J., Thomas K. J., Thomas K. M., ...], please contact AriostoCoelho@yahoo.com.